Getting away to outdoor spaces can be one of the great pleasures of life. Connection to nature plus the excitement of amusement parks and water parks draws millions of people in for a day of fun. All these visitors to parks and recreation areas deserve to be safe as they visit attractions and enjoy the great features their communities have to offer. An important way to keep guests safe is through the prevention of slips-and-falls. Stairs and walkways that are exposed to the elements can get wet, muddy, icy, dirty – in other words, slippery. Managers of public spaces need effective and reliable anti-slip solutions. 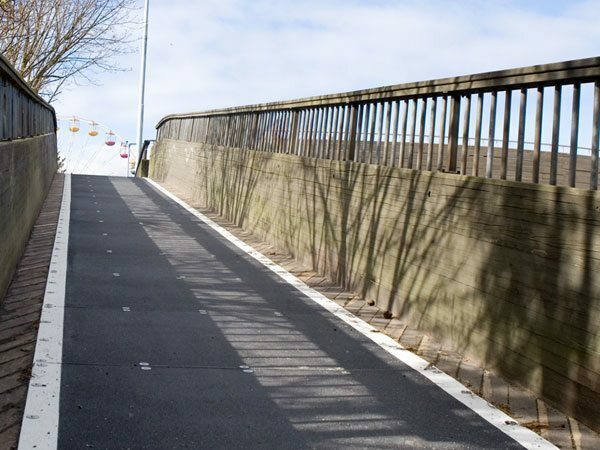 At Safeguard, we take great pride in providing high quality anti-slip covers perfect for parks and recreational areas. 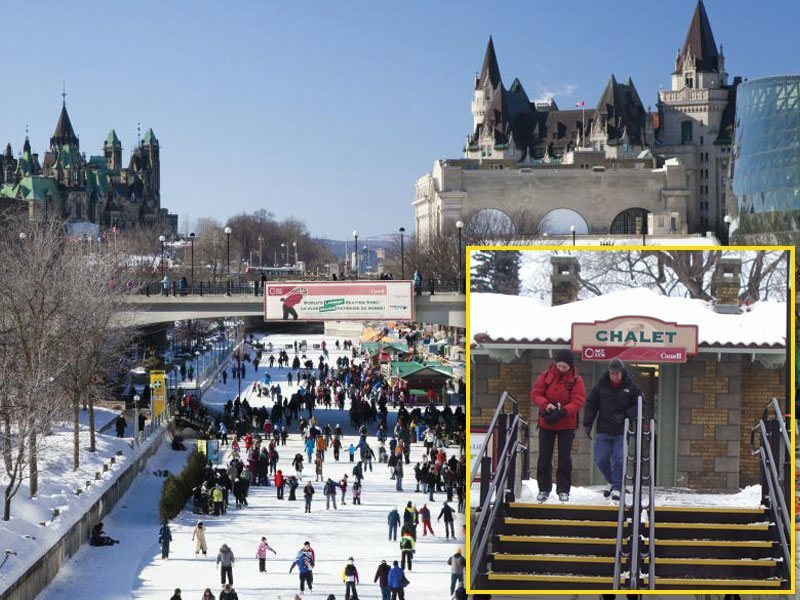 With made-to-fit sizes, colors, and grits, park operators get just what they need to prevent slips and falls while staying within scenic and aesthetic guidelines. 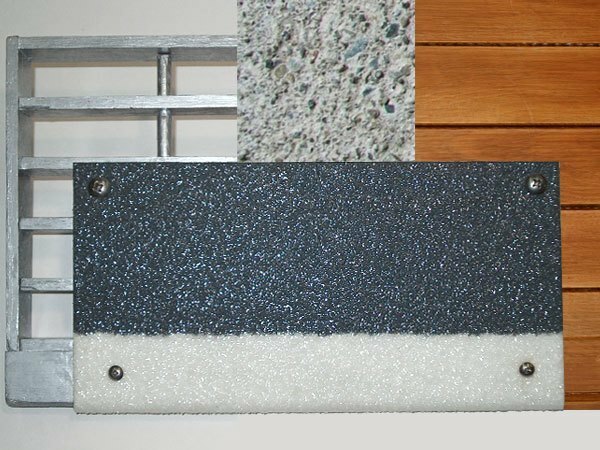 As you provide service, education, and enjoyment to the communities you serve, protect your guests with Safeguard anti-slip covers for walkways, steps, and more. Perfect for accessibility ramps – our unique no-slip surface exceeds the ADA’s required Coefficient of Friction, a measure of safe traction. Even in wet or oily conditions, it greatly exceeds these guidelines. Don’t let slip-and-falls ruin their fun – provide your guests a safe, anti-slip environment. Choose one of Safeguard’s standard or premium colors to complement the natural beauty of your setting. Colors can be combined in two tone configurations to create extra visual safety effects. 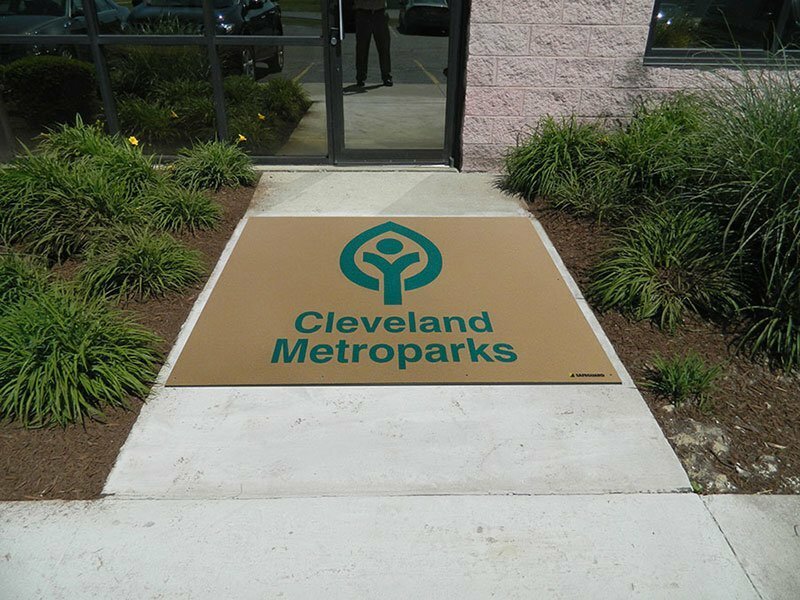 Display your company’s logo while greatly reducing the risk of slips and falls. The image is embedded into the cover, not just printed on the surface, so it will last for the life of the product and not wear off. 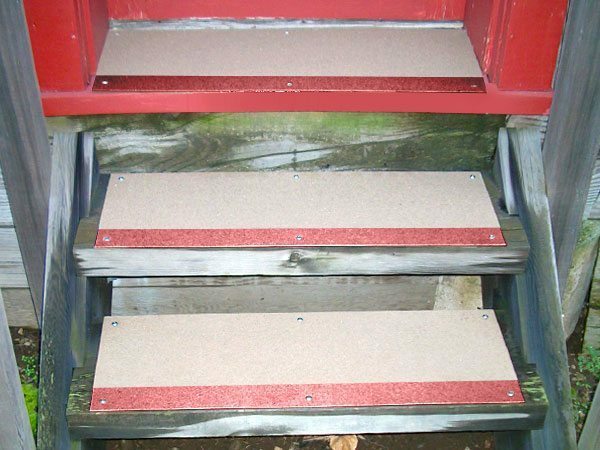 Safeguard Hi-Traction Step Covers can be installed over steel or aluminum plate, grating, wood, tile and concrete.